Flow rate? Head? Power? Answer our short, free questionnaire now. Just a few questions and we will confirm the type of pump that best matches your needs. Viesse Pompe Italia s.r.l., produces the RHS (ROBUSTA HYDRAULIC SYSTEM), the company’s key strength and leading product which has led the VIESSE stand out in the whole world..
Viesse produces pumps with the ROBUSTA brand for both the industrial market and for land drainage. 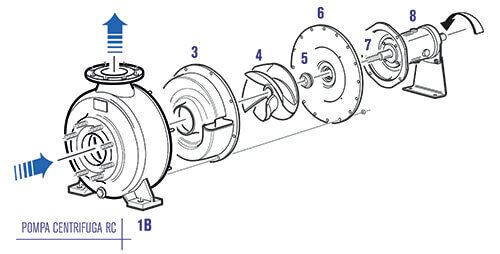 The pump casing is separated by the volute, which now becomes a shield protecting the impeller only, while the pump casing is just the shell housing for both. 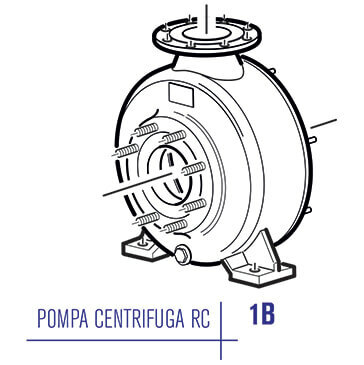 Briefly, the revolutionary idea behind the ROBUSTA consists of a volute-disk inside the pump body that acts as armouring, protecting the impeller and at the same time is entirely interchangeable as additional benefit. 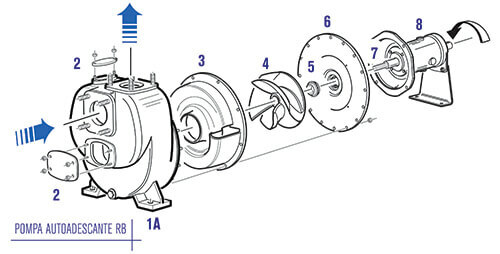 The volute has no internal built-in screws and so it is easily replaceable when the pump is worn out. The armouring is very hard and resistant to abrasion – its resistance to abrasion is assured by the use of specific materials – and this makes the pump ideal for continuous use, even with muddy or sandy water, etc. 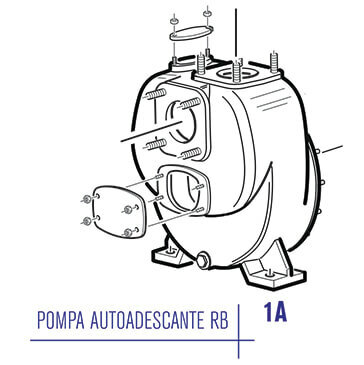 The ROBUSTA hydraulic module was designed using software provided by the Department of Machinery of the University of Padua. The aim of the design was to enhance the hydraulic efficiency and obtain the maximum energy savings possible from open impeller hydraulics. The result of this research was a hydraulic system with slim vanes with a specific hydraulic profile and assuring large gaps for the flow, and with the impeller engineered to optimise efficiency and reduce the effect of wear and tear on the surface of the vanes. The pump casing can be centrifugal, self-priming or other special forms depending on the customer’s request. 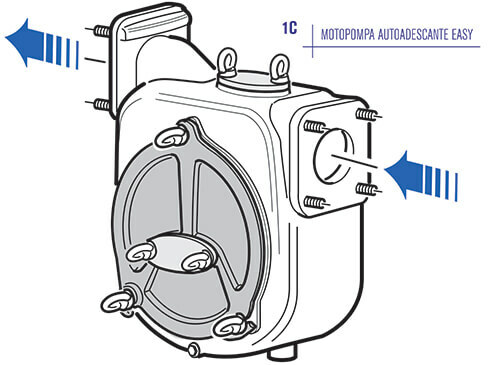 The shape of the self-priming pump is actually larger and has an innovative design than those currently available on the market, as it was studied for fast and safe priming. 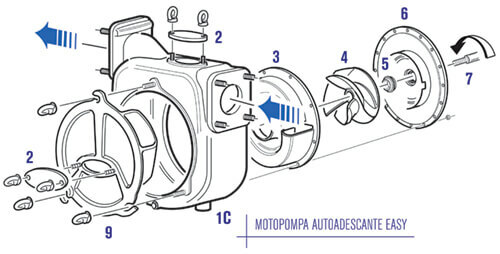 According to specific needs, ROBUSTA, is able to comply with any pumping situation and it can be manufactured with any type of construction material, it is possible, anytime, to select the most suitable ones, with the aim to keep an hydraulic standard with high efficiency and low power consumption. 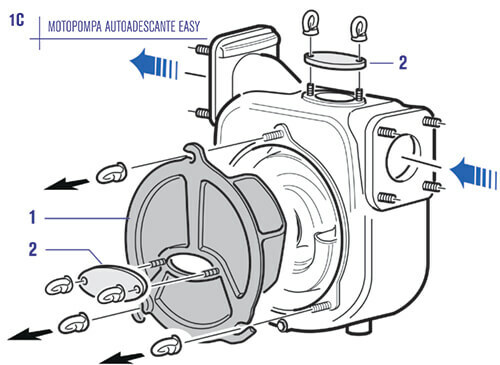 Reduction of needed parts in stock.